Rep. Edwin Vargas participated in a State Capitol rally in support of a proposal that would increase the pay of low-wage workers to $15. 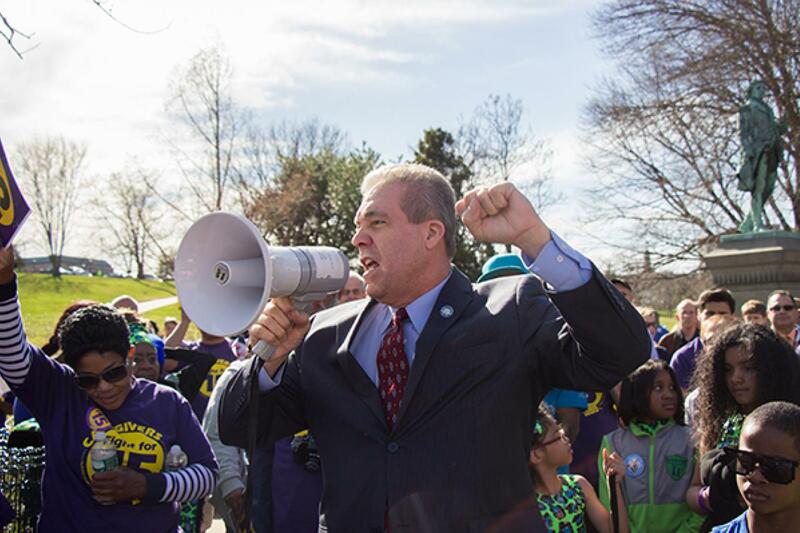 Representative Edwin Vargas joined more than 1,000 low-wage workers, advocates and lawmakers at a State Capitol rally to back an effort that would increase the pay of the workers to $15 an hour. Rep. Vargas is supporting legislation that would impose a fee on large corporations that do not pay their employees the $15 per-hour rate.